Fear produces anxiety, insecurity, confusion and also creates chaos in our confidence of God. Fear hinders us from becoming the kind of person God wants us to be. Fear steals peace and contentment. When we’re always afraid, our lives are centred on a negative mindset. Fear creates uncertainty and doubt. But God promises us an abundant life (John 10:10). Fear is a deceptive weapon satan uses to conquer the children of God. King Jehoshaphat was (1) afraid but (2) he turned to seek the Lord. If you read the rest of chapter 19 of 2 Chronicle, you will discover all the radical changes King Jehoshaphat introduced in his nation was because he wanted goodness to rule over wickedness. Did you notice King Jehoshaphat prepared his nation with such changes that was pleasing to God. He restituted the things he did which was wrong in the past so that God would hear his call of prayer. Here is an important lesson that nations who have swayed away from righteousness, nations who have made mistakes in the past and offended God can learn from the life of King Jehoshaphat. You know what? A lot of times God don’t hear our prayers, not because He can’t hear us. The problem is,we have not positioned ourselves in the right place for Him to hear us. We have not set the ground right for Him to hear. We have not made the necessary changes for Him to hear us. We sweep things under the rug and think it’s o.k. And expect God to hear our prayers. But King Jehoshaphat did not compromise; he made the necessary changes and that pleased God to hear his prayers despite his past mistakes. In the end,God was willing to hear his prayers. But you know what? Unfortunately we remain where we are, in the sense that we are not willing to make radical changes in our life that would be pleasing to God. That’s the problem you see, many of our prayers are not effective because we are dwelling in a mindset of our own making, our own thinking. We think we know it all and we drive our own lives instead of allowing God to take control of our wheels. King Jehoshaphat gets this thing right and then he prays. Verse 5; Jehoshaphat stood in the assembly of Judah and Jerusalem so he is in God’s house in a crisis. He says Oh Lord.. he introduces his prayer with one of the greatest truths that you need to remember particularly when you are in a crisis. He says God! is it not true that heaven rules!? I want you to remember one thing in your life, that is,no matter what is happening on this earth. No matter how confusing the situation and circumstances may seems to appear to you. But please remember! Heaven rules every other kingdom! In other words,earth never has the final say. Please understand! Your crisis is not the final word. The devil will make you to believe that it is the final chapter of your life! He will make you feel it’s the final word! He will make you believe it’s the end of it for you! You think it’s the end because you are trapped and stuck in a situation of fear that you don’t know how to think straight anymore. You are afraid! You are overwhelmed! You are confused! But apparently King Jehoshaphat did not allow his fears to overcome him although he was in a hopeless, helpless and fearful situation. You know what? Although your circumstances may be different now but your God is the same God. God is a UNCHANGING God. You know what? My understanding of King Jehoshaphat’s prayer clearly establishes the fact that he had a relationship with God despite his past background . He knows his God. He can commune with his God: notice that he is not treating his God religiously. Religious people will treat their God as unapproachable. Religious people have to perform before God. God is distanced from them. King Jehoshaphat however knew the past history of his God. He had experienced how God rescued his people and His faithfulness in past history. He says despite my problem which is surrounding me right now! Despite the fact that I am powerless and I don’t know what do. But I am changing my focus right now, look at the last verse ” my eyes are fixed on you”. Here is something you need to understand, watch this as long as the enemy can keep your eyes focused on the enemy you are going to be looking at the wrong direction. But ,King Jehoshaphat was different; he shifted his focus, he said I am no longer going to look down on my crisis ( I know the reality that is they are coming after me) I know I am fearful and worried but I am going to shift my focus and look to God now!! I am going to look to the hills from whence cometh my help! My help cometh from the Lord, the Maker of heaven and earth (Psalm 121:1). I will lift up my eyes unto you. Thy kingdom come thy will be done on earth as it is in heaven. 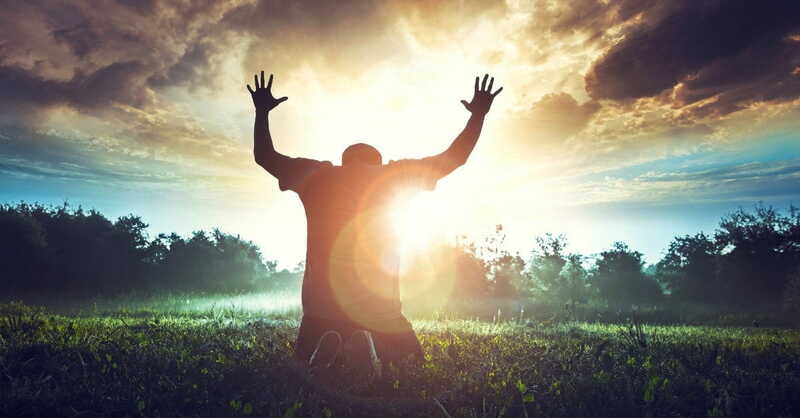 Why does God call us to pray? He calls us to pray so that we can be a channel to draw down heaven for the benefit of our crisis on earth. Listen! Prayer is drawing down from heaven to earth what has been already offered in heaven. What has been already decreed in heaven. We are kingdom people of God. We are kingdom enforcers, we are kingdom channels and instruments of God to bring the influence of heaven to rule this earth in the midst of our crisis. Watch this. 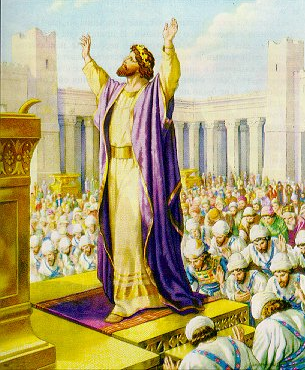 All Judah is standing before the Lord; infants, wives and children and they are in a fast. Jehoshaphat prays. Listen. When you are in a crisis and you don’t know what to do. You are literally losing your mind because the devil inflicts such fear to immobilize you. Forget about reading the word of God as usual. You don’t need the “logos word” at this moment,You really need a Rhema word from God. You need a Rhema word to be become alive so that it can be applied into your crisis situation. A word that is specific. A word that is alive which will suddenly jump out of the bible while you are reading it. You need not fight in this battle but position yourself, stand still and see the salvation of The Lord will come through for you. Early next morning they rose and moved forward. There is a time to pray, there is a time to wait and there is also a time to move forward. The Bible says the enemy was defeated. Judah didn’t lift a finger to fight. What else they found? Precious jewels more than what they could carry. You know what? It took 3 days to gathers all the precious jewels because there was so much of it left on the dead bodies of the enemy. How did God move His hand on behalf of King Jehoshaphat? A Christian with unshakable faith is marked as Enemy No:1 in hell and the reason for that is this: By faith there is a power released to subdue kingdoms, by faith righteousness is born, promises of God are obtained, the mouths of lions are shut, satanic fire is quenched, and there is escape from the sword. Out of weakness the faithful are made strong and become brave in the battle, turning the devil’s army to flight.